along the soft underbelly of the sky. on the doorframe of our Pennsylvanian pantry. inhabitants of this frigid, foreign land. 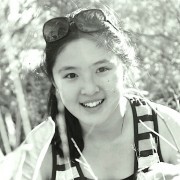 Alicia Lai is the Founder/Editor-in-Chief of The Postscript Journal, a national literary magazine for high school and college students (www.postscriptjournal.com). She is also a 2014 YoungArts National Winner/Finalist in Writing, and the recipient of the 2013 Easterday Poetry Prize and a scholarship from the Patricia Grodd Poetry Prize. She has been recognized by the Scholastic Art & Writing Awards, the Poetry Foundation, and the National Council of Teachers of English. Her writing is published in the Kenyon Review, National Poetry Quarterly, Apprentice Writer, and Curio Poetry, among others.